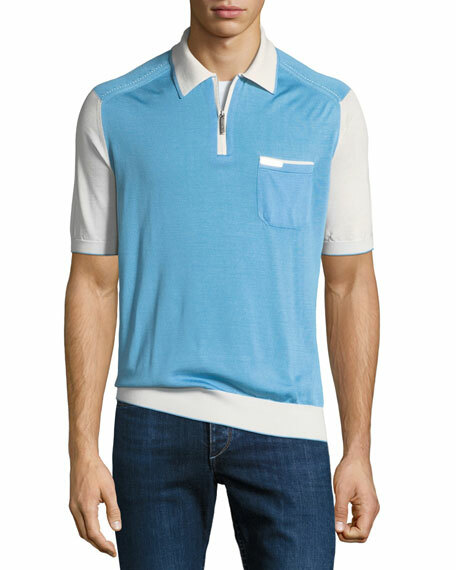 Stefano Ricci polo shirt with contrast trim. 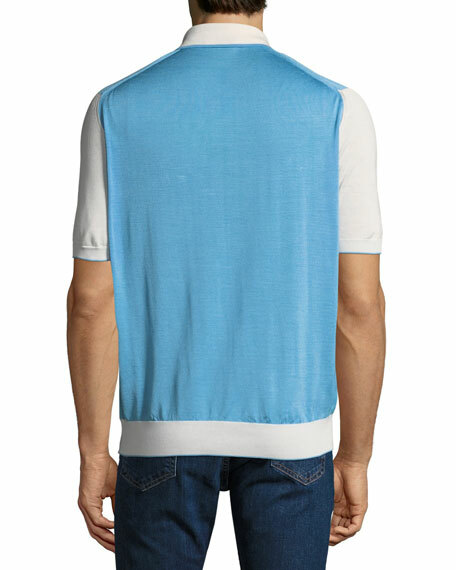 Diesel polo shirt with contrast logo taping. Spread collar; four-button placket. "Power Racer" print at left chest. Vented hem. Pullover style. Cotton. Imported. Neil Barrett polo shirt in flower graphic detail. Spread collar; three-button placket. Short sleeves. Pullover style. Cotton. Machine wash. Made in Italy. Orlebar Brown "Sebastian" polo shirt in terry cloth. Spread collar; three-button placket. Short sleeves. Slim fit. High-low hem. Cotton. Made in Portugal. Model's measurements: Height 6'1"/185cm, waist 32"/81cm, typically wears size M.